Craig Gaulden Davis (CGD) has been working on Roper Mountain since the late sixties. Bob Wilson Amphitheater came first followed by a string of buildings commissioned by Greenville County Schools on the wooded, 62-acre property. Over the next few decades CGD designed T.C. Hooper Planetarium, F.W. Symmes Hall of Science, and the renowned Charles E. Daniel Observatory, home to the nation’s 8th largest refractor telescope. Today, Roper Mountain Science Center is a well-established center for hands-on learning and an educational pillar in our community. 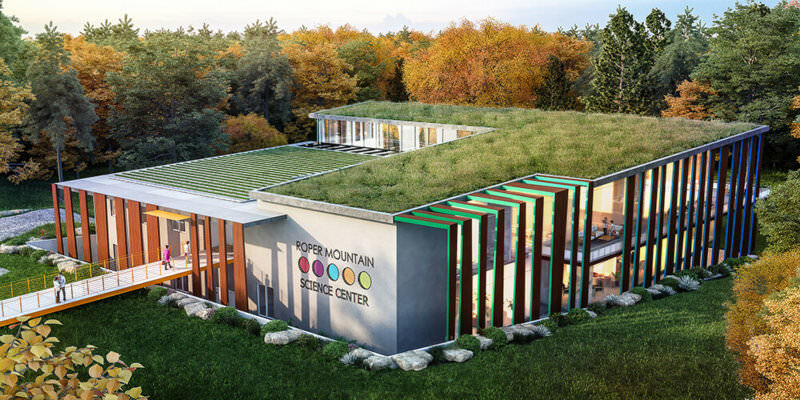 CGD continues to enjoy our work with Greenville County Schools and the staff at Roper Mountain Science Center, most recently, winning the design for the new Environmental Science & Sustainability Building. 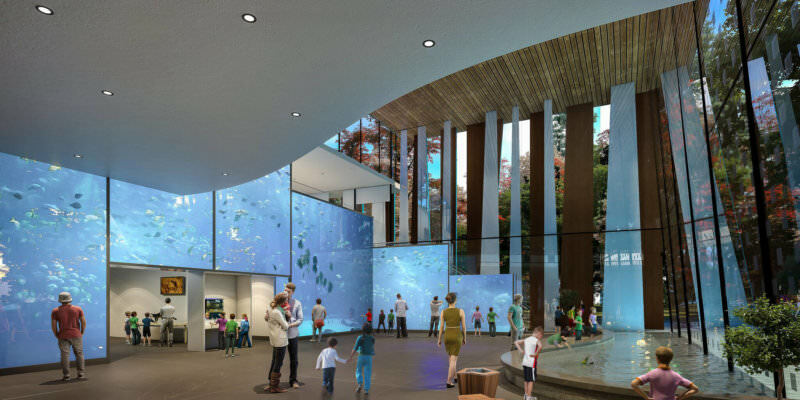 In partnership with New York-based, Lee H. Skolnick Architecture + Design Partnership (LHSA+DP), we submitted initial plans and renderings that led to the award of the project. Relying heavily on visible and tactile sustainable design techniques, the intent is for the building to be low impact and the structure to serve as a teaching tool. 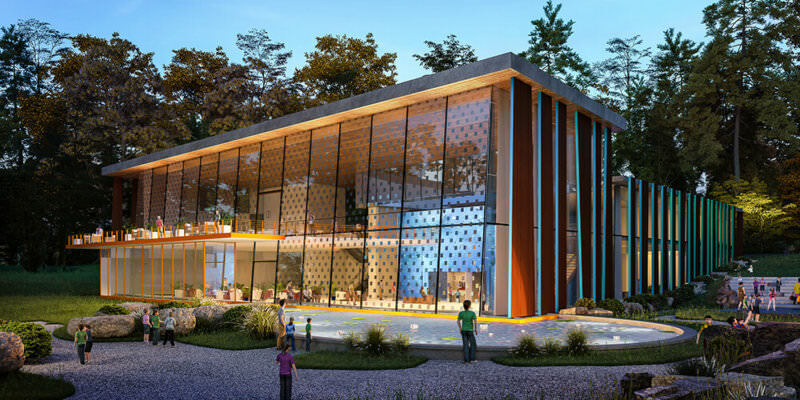 The new building will feature specialized exhibit designs that aid in teaching sustainable living, water conservation, and animal care, with flexible classroom spaces, to support the Center’s STEAM-based curriculum. 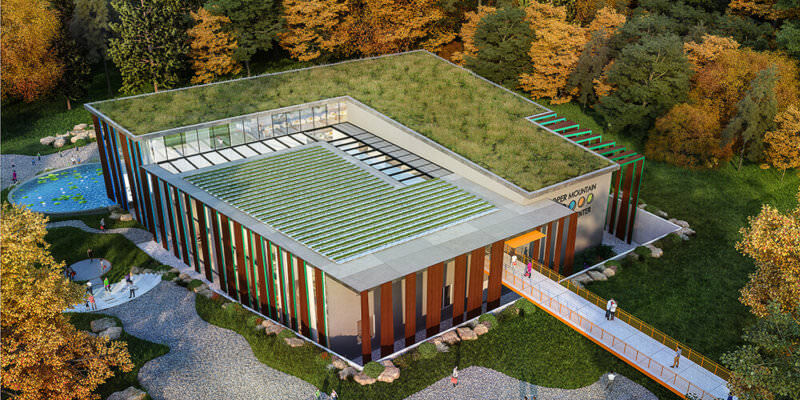 Additionally, an open dining facility, living wall and teaching kitchen will promote health and wellness through plant cultivation, food preparation and best practices in farm-to-table dining. Enjoy these conceptual renderings of the new Environmental Science & Sustainability Building and stay tuned as the design develops!